We are committed to providing dental patients with the highest level of care in root canal therapy by utilizing the latest proven technological advances in the field of endodontics. We believe that each patient deserves to be treated with compassion and respect. And above all, our actions must be guided by principles of honesty, kindness, and integrity. Dr. Loc Tran received his D.D.S. degree in 1998 from the University of California , Los Angeles . The following year, he completed a hospital residency program at the University of California , Los Angeles . His endodontic training was completed at the University of Southern California in 2001. 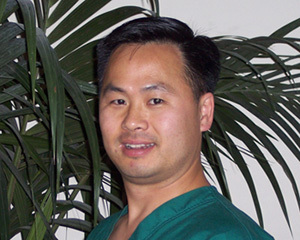 For the last five years, Dr. Tran has been practicing endodontics in Stockton, California , at Delta Endodontics. Currently, he holds an Adjunct Clinical Assistant Professor position in the Department of Endodontics at the University of Pacific , Arthur A. Dugoni School of Dentistry.